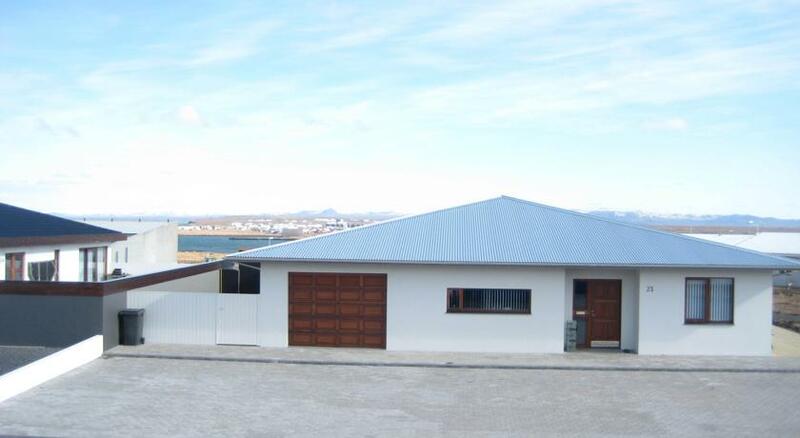 Found within 5 minutes drive of central Keflavík, this property is 3 km from Keflavík International Airport. Wi-Fi and parking are free. Facilities include a terrace and TV lounge. Home Guesthouse's bright, basic rooms feature garden views and a wardrobe. Bathroom facilities are shared, and guests can eat meals in the shared dining area. The famous Blue Lagoon geothermal spa is 23 km away. Reykjavík city centre is a 40-minute drive from Guesthouse Home. Holmsvöllur Golf Course is within 4 km. 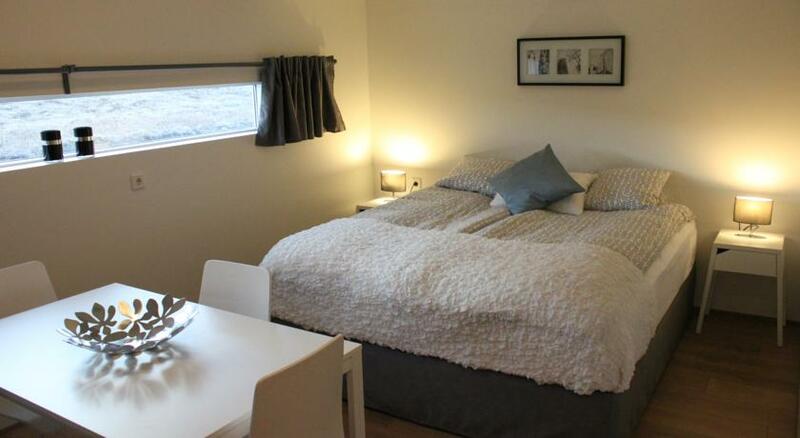 This modern guest house is a 10-minute drive from Keflavík International Airport. It offers a terrace. Wi-Fi, tea/coffee and parking are free. Ace Guesthouse’s rooms feature bright, modern décor and tiled floors. Bathroom facilities are shared. Some rooms offer views of Faxaflói Bay. A supermarket, bakery and 24-hour deli are a short walk from the property. The Blue Lagoon geothermal spa is less than 20 minutes’ drive from Guesthouse Ace. Reykjavík city centre is 45 km away. 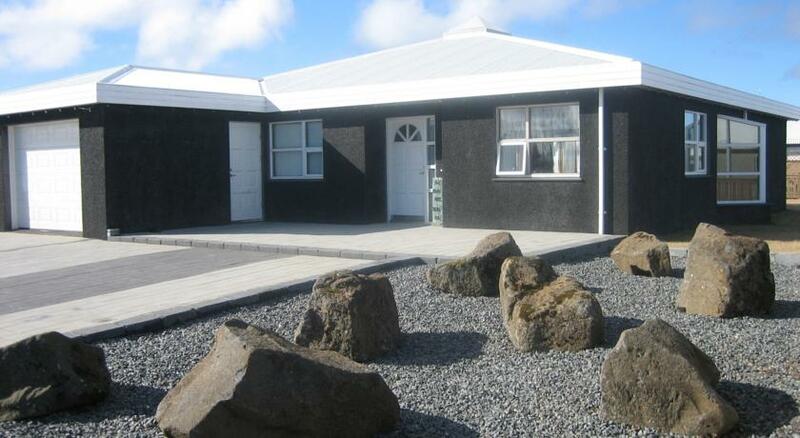 Featuring free WiFi throughout the property, Quiet Comfort offers accommodation in Keflavík. Free private parking is available on site. All rooms come with a flat-screen TV. You will find a kettle in the room. The rooms are fitted with a private bathroom equipped with a shower. The nearest airport is Keflavik International Airport, 4 km from Quiet Comfort. 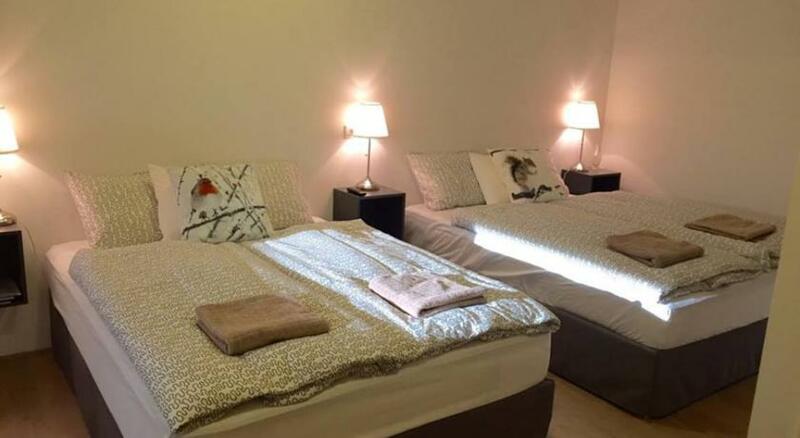 Located 35 km from Reykjavík, Private Apartment Keflavík offers accommodation in Keflavík. Guests benefit from free WiFi and private parking available on site. A flat-screen TV is available. There is a private bathroom with a bath or shower. The nearest airport is Keflavik International Airport, 4 km from the property.